Last week my kids, friends and I mined for gems, kayaked, zip lined, pontoon boated, tubed, horseback rode, pier dove, rock balanced, performed a play, hiked, experienced three different waterfalls, swam, enjoyed two campfires and shopped. What does tubing have to do with communications planning? Pictured: the author, her kids and family friend. How did we get so much done in just a few days? With a plan, of course! To keep both kids and adults happy, we weighed our options for activities before hitting the road (to Cashiers, North Carolina). We considered our vacation bucket list and decided where to go and what to do. It’s the same with communication. Before doing anything, it’s best to map out a concise strategy of what you want to communicate and why — and to whom. Are you targeting customers? Association members? Industry partners? Employees? What do you want to accomplish? Are you building long-lasting relationships, sharing ideas and information, persuading folks to implement change? And based on all of that, what do you want to say to your target audience — what is your key message? After answering all those questions, you can then determine how to communicate — meaning the actual communication vehicle you’ll use. A monthly e-newsletter might be ideal for industry partners. Employees often value a weekly email. A quarterly webinar for existing customers could review service needs and discuss your latest product offerings. A news release is perfect for the media. There are dozens of other tactics to choose, so it’s best to consider the ones that will meet your audience’s needs. But before implementing anything, don’t skimp on the planning. Give us a call to get started. We’ll help get you there. 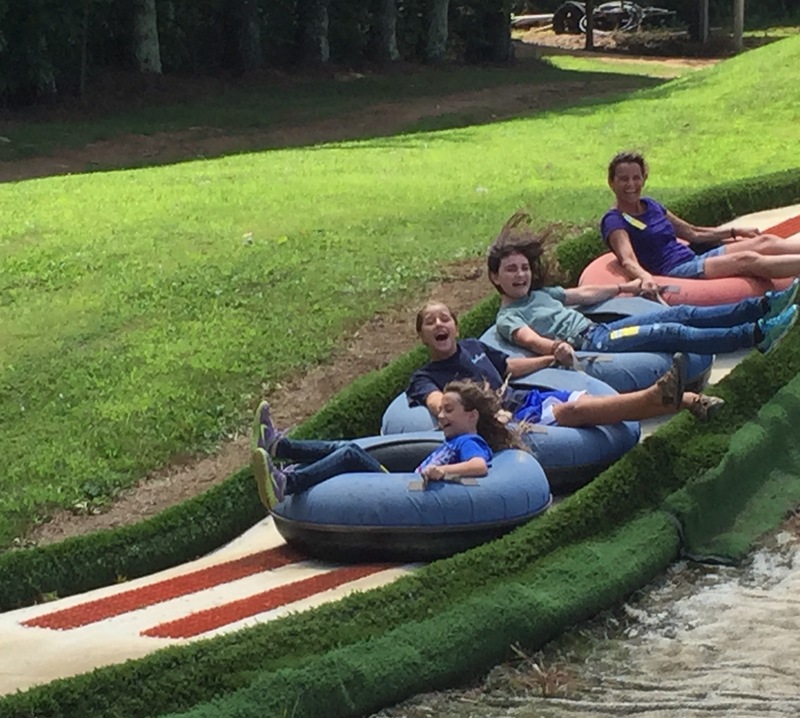 We’ll even go tubing with you.